Towards the end of his life El Duce ... lead singer of the punk rock group THE MENTORS,was a RIVERSIDE local. He would often be seen at local shows, bars, and various places. He was a person you could always just walk up and talk to. El Duce was definitly a 'punk rock star' of the people. The person Duce was always with was another punk rock pesonality in his own right ... ALLEN WRENCH. Allen Wrench was known for other reasons. His musical background was from an old band that rocked ... ROAD WHORE (which had some members of WHITE FLAG and CHRISTIAN DEATH). Mr. Wrench was also known for random violence. Like El Duce, Wrench himself was always drunk. And when provoked, or challenged, reacted with instant violence. He was not a nice guy. 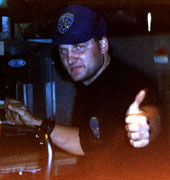 I met El Duce at a local Riverside bar called the 6060 club in 1998. It's not open anymore. I had seen Duce around for many years, and had been a fan of his band. I bought him a few drinks, and he told me was leaving the next day to tour with his band. A month later I saw him there again. He was drinking and seemed totally drunk. Everyone knew about his involvement with the whole KURT COBAIN / COURTNEY LOVE thing, and he was about to tell me something he hadn't told anyone before. 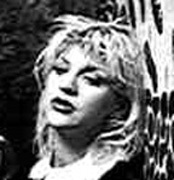 Everyone knows about how Courtney Love offered El Duce $50,000. to kill her husband Kurt Cobain. But that wasn't the whole story. The truth of the matter is ... El Duce didn't have the stomach to kill someone. But he knew someone that did. That's when Allen Wrench comes into the picture. The Mentors were going on tour, so that gave Duce a good excuse to back out of the deal. So what he did was put Courtney love in contact with Mr. Wrench. Allen Wrench has never admitted to El Duce or anyone else about killing Cobain, but Duce was 100% sure that that's what happened. Allen Wrench before, was always poor. He was a drunk guy who was always broke. Then, all of a sudden I heard that he bought a house, a new truck, and a 70's Corvette. He had a lot of money too fast. I think he got the money from Courtney Love for killing Kurt Cobain. Wrench is also a gun nut. I know people that have hung out with him, and they told me he carries a .44 magnum hand gun where ever he goes. I've even seen a fight he was in at a Riveride bar called Limuricks. Wrench got in a fight with a guy that was about 6'4" tall. The guy tried to punch Wrench but missed. Then Wrench did some kind of judo throw and while they were rolling around on the ground Wrench started choking the guy, and the guy went unconscious. We all thought the guy was dead. Wrench left and then the guy woke up. He didn't even know where he was at. Two nights before he died I saw Duce at a bar ... He was really depressed, scared and paniced. Duce had told me about an interview he had just done with the BBC about the Kurt Cobain murder. Like always duce was drunk during the interview. He slipped and mentioned that he knew who the real killer was. And then he named Allen Wrench. I know a guy who was watching the interview as it was being filmed, That person told Wrench that Duce had named him as Cobain's killer. The next thing I know ... El Duce is dead, and he was with Allen wrench up until the last minutes of his life. I recently talked to a guy who was living with Duce at the time. He told me, the night Duce had died, Allen Wrench had come over to their house all pissed off and looking for Duce. He said as soon as he saw Duce, he drug him outside and wrench began yelling and pushing Duce. And then they left. The next thing the guy heard was that Duce was dead, hit by a train 10 minutes after he had left the house with Wrench. From all the information I've gotten from people I know, I am totally convinced Allen Wrench killed Kurt Cobain for Courtney Love. He got a lot of money for doing it. And after Duce exposed Wrench as Cobain's killer, Wrench also killed Duce. Please understand why I don't mention my name, but I had to get this off my chest. There is no gurantee this information is 100% accurate, but it's a very interesting possibility! This was submitted to me by a viewer just like YOU. If you have any information you feel should be posted on this site, or if you have a site of your own that you would like advertised here, please email me at: webmaster@kurt4ever.zzn.com.